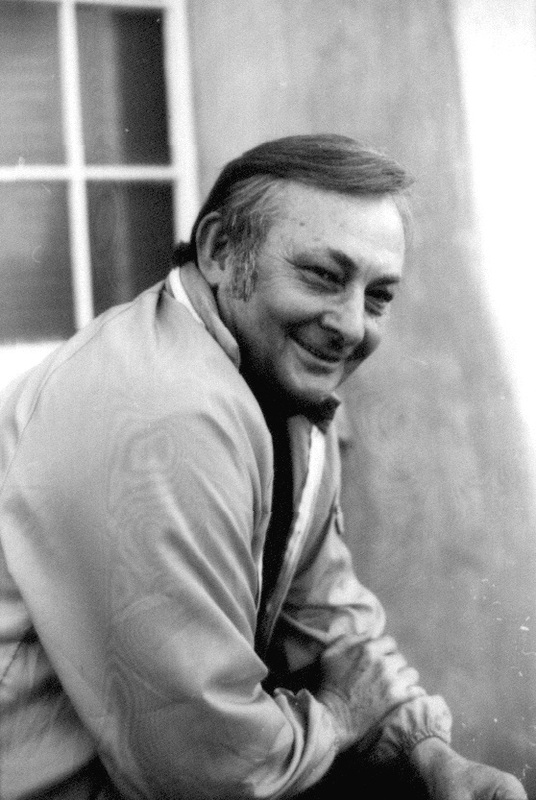 Tony Hillerman was born in Sacred Heart, OK on May 27, 1925, and was the youngest of three children. He attended school from 1930-38 at St. Mary's Academy, a boarding school for Native American girls at Sacred Heart. He was one of only a few boys enrolled there, and Hillerman later attributed his sensitivity to and respect for Native American cultures to this experience. Broadly speaking, although Hillerman discerned the differences between Native and colonial settler cultures and histories in the United States, in his words, poor kids were poor kids, and that’s how the students at St. Mary’s saw each other and why they got along. This shared human condition and respect for its subtle – and not so subtle – variances present themselves throughout the corpus of Hillerman’s writing. Refreshingly – although sometimes critically interrogated for doing so – Hillerman wrote through the eyes, ears, and understandings of partially assimilated Navajo Tribal Policemen, revealing what have often been considered guarded, intimate details of the Navajo belief system. Yet, these portrayals have also been appreciated as objective, respectful, and accurate portrayals of the grounded, profoundly aware, and drily, wryly humorous denizens of Navajo country. This outsider/insider perspective provides a mirror in which Native and non-Native readers alike recognize some of the least attractive elements of a humanity that is no longer in balance, portrayals of the human condition that are neither overdone nor completely damning but always provocative. Who is not fascinated by the idea of a sickness, derived from moral, social, or cultural imbalance, that presents itself as a Skinwalker or Navajo wolfman? Ultimately, it is the human condition and its range of expressions that finds its way into the pages of Hillerman’s Navajo Detective Novels, novels whose ethnographic insights are acutely perceptive and revelatory regardless of whether the subject under observation is Navajo, Zuni, Hopi, or white. In 1943, Hillerman joined the U.S. Army, serving in combat in World War Two. 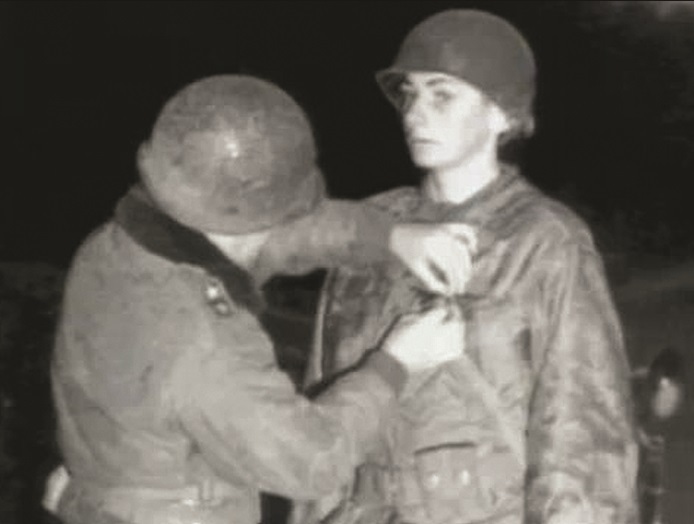 He was awarded the Silver Star, the Bronze Star with Oak Leaf Cluster, and the Purple Heart after being wounded in 1945 (These injuries included broken legs, foot, and ankle, facial burns, and temporary blindness.) He was discharged in 1945. Again, his lived experiences find their way into his writing in poignantly accurate and sensitive portraits of war veterans, whose legacies of combat training and experience highlight the disparities between the sorts of healing the Navajo community extended to its war veterans at a time when the dominant U.S. culture was ill-prepared, if not unwilling, to do the same. Hillerman’s collaboration with the Frank Kessler family on Kilroy Was There: A GIS’s War in Photographs (2004) draws on Hillerman’s experiences as an infantry gunner for the U.S. army in both France and Germany. Recognizing the potential for humanity – and inhumanity – on both sides of the conflict, Hillerman’s narration enriches Frank Kessler’s collection of war photographs, with both the visual and textual materials delivering similar honesty about the brutal effects of militarized violence. This honesty, derived from acute observation and the innate ability to clearly communicate those observations, is in part what made Hillerman a successful journalist. Similarly,the ability to record and then further embellish those observations is what made Hillerman a successful storyteller and novelist. After the war, he attended the University of Oklahoma, receiving a B.A. in journalism in 1948. 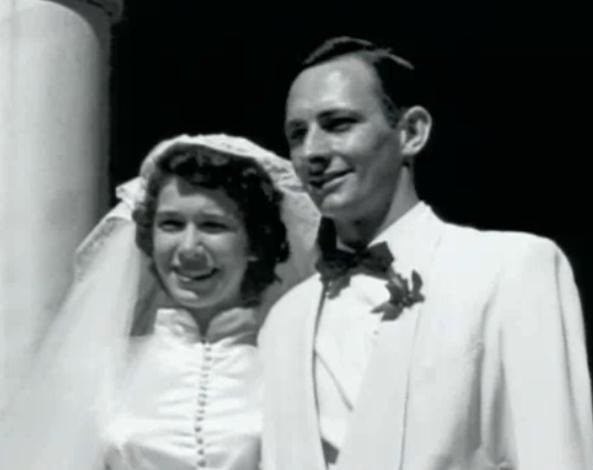 That same year, Hillerman married the brains of the family, Marie Unzer, a Phi Beta Kappa whiz in microbiology and languages, whom he met at a dance during their senior year at the University of Oklahoma. They married the fall after graduation. 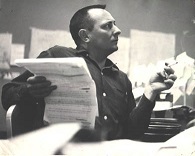 From 1948 to 1962, Hillerman covered crime and politics for newspapers in Texas, Oklahoma, and New Mexico. In February 1963, the Hillermans relocated to the city of Albuquerque, where they juggled a growing family, vegetable gardens, a longstanding poker game, community involvement, and Hillerman's burgeoning writing career. He joined United Press International and served as the wire service’s manager in New Mexico, where he also worked as a political reporter for The Santa Fe New Mexican, eventually working his way up to the position of editor. In his 2001 memoir, Seldom Disappointed, Hillerman wrote that it was during this time – working in Santa Fe and raising his growing family – that his “yen to become a novelist grew stronger.” Hillerman was surrounded by literary figures – both historical and living – including Territorial Governor Lew Wallace, who had written Ben Hur; Oliver La Farge, whose Laughing Boy had won the Pulitzer Prize and who was still writing as a columnist; and another reporter, who regularly sold short stories to The New Yorker. Hillerman decided to pursue writing fiction more seriously, and, in 1963, he returned to school to pursue a graduate degree in English at the University of New Mexico. He joined the journalism faculty of UNM in 1966 after receiving his Master’s in Creative Writing. He remained at UNM for two decades, teaching journalism, serving as department chair, and working as assistant to two UNM presidents. Hillerman’s most popular series of books, his Navajo mysteries, takes place in and around the Navajo Reservation in northeastern Arizona and northwestern New Mexico. These novels describe people, both Native and non-Native, struggling to maintain traditions in the modern world. His writing, so rich with ethnographic and anthropological materials, garnered Hillerman accolades from around the world, both as an award-winning author of detective fiction as well as a perceptive and active supporter of Native American rights. With invitations to lecture as an ethnographic specialist at some of the top universities in the country, and with a growing global perception of Hillerman as a subject expert in Native American history and culture, Hillerman "kept it real" by returning to his sources over and over again: the Navajo people themselves. In particular, his accessibility and engagement with reservation school children informed plot and character development, as did the written correspondence he maintained with many of his Native readers. Although Hillerman conducted extensive research and read copiously as he prepared to work on each novel, he still ran his manuscripts by Navajo friends to check for accuracy and believability. Many times Hillerman engaged in a dialogue with classes and adolescent readers around the Navajo reservation to ascertain what they thought of plot lines, character development, and endings. If his student readers were critical, he followed their advice. "Good reviews delight me when I get them," he once said. "But I am far more delighted by being voted the most popular author by the students of St. Catherine Indian School, and even more by middle-aged Navajos who tell me that reading my mysteries revived their children's interest in the Navajo Way." Many students, often including entire classrooms, received unsolicited gifts of novels and words of praise and encouragement when they confessed to Hillerman that his novels inspired them to read and to write their own mysteries. These exchanges informed Hillerman’s professional writing and liberally pepper his archive, underscoring the warm appreciation and respect Hillerman felt for and received from many in the Native American community. Tony Hillerman died of pulmonary failure on Sunday, October 26, 2008. He was survived by his wife, six children, and generations of readers who came to his work in order to visit Indian Country. Greenberg, Martin, ed. The Tony Hillerman Companion: A Comprehensive Guide to His Life and Work. New York: HarperCollins Publishers, 1994. HarperCollins Publishers. “Tony Hillerman.” Accessed January 19, 2013. http://www.harpercollins.com/author/microsite/About.aspx?authorid=4488. “Hillerman, Tony.” Contemporary Authors: New Revision Series Volume 21. Detroit: Gale Research Co., 1987. - - - - -. Seldom Disappointed: A Memoir. New York: HarperCollins, 2001. New Mexico PBS. “About Hillerman.” Accessed January 19, 2013. http://www.pbs.org/wgbh/mystery/american/navajoland/abouthillerman.html. Stasio, Marilyn. “Tony Hillerman, novelist, dies at 83.” The New York Times (New York, NY), October 27, 2008. University of Missouri – St. Louis. “Welcome to Hillerman Country! 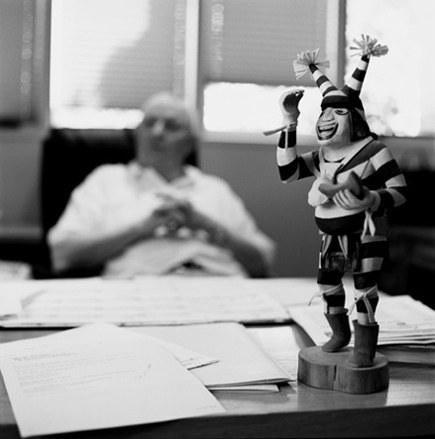 (The Unofficial Tony Hillerman Homepage).” Accessed January 19, 2013. http://www.umsl.edu/~smueller/. This interactive pictorial map pinpoints all the significant locations in beloved New Mexico novelist Tony Hillerman’s autobiography, Seldom Disappointed . Published in 2001, the memoir furnishes an engaging and fast-paced tale of the pivotal events in the renowned mystery writer’s life. Through the University of New Mexico’s Digital Initiatives and Scholarly Communications mapping project, the author’s extensive travels for education, military service, and a career in journalism are charted and divulge the broad contours of a life lived with tenacious gusto. Struck by the memory of a Navajo ceremony for returning veterans, Hillerman used this event as the touchstone for his first novel, Blessing Way. Hillerman penned thirty texts altogether, and eighteen works of detective fiction centered upon the introspective, traditional, principled Navajo detectives Joe Leaphorn and Jim Chee in a successful merging of the pulp western and hard-boiled mystery genres. The chamisa, juniper, white-tailed deer, sheep, arroyos and sandstone canyonland crevices of the Four Corners Southwest form the enigmatic, storied backdrop for the Hillerman novels that have thrilled generations of readers across the globe. Journeying from a dickering detective writer in 1970 to a multi-million dollar literary powerhouse, Hillerman seldom disappoints.